The largest startup conference in "Ruhrgebiet"
The last week I was on the road for reflecta. 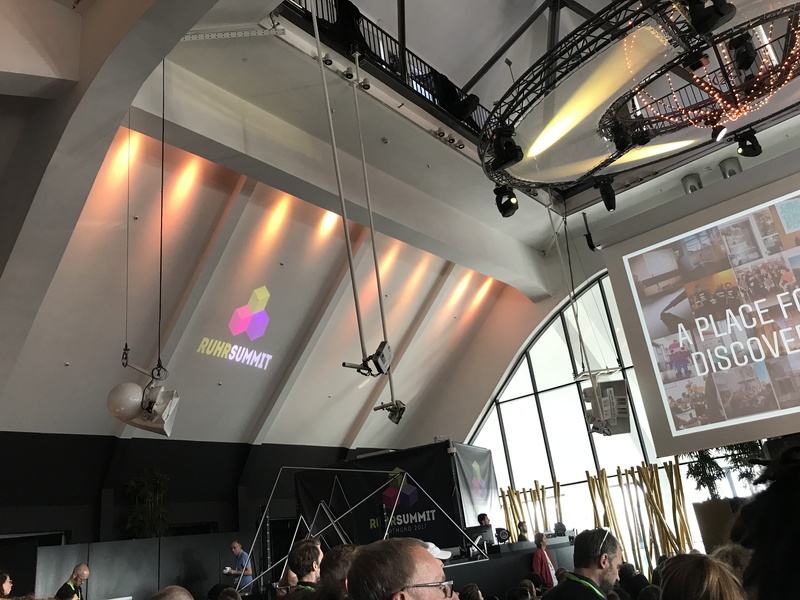 I got out off my cosy home office to meet people and listen to interesting keynotes and exciting pitches at the ruhrsummit in Dortmund. The entire Thursday from a welcome presentation in the morning to a rooftop party in the evening - the day was packed with a lot events so that attending everything was simply not possible. 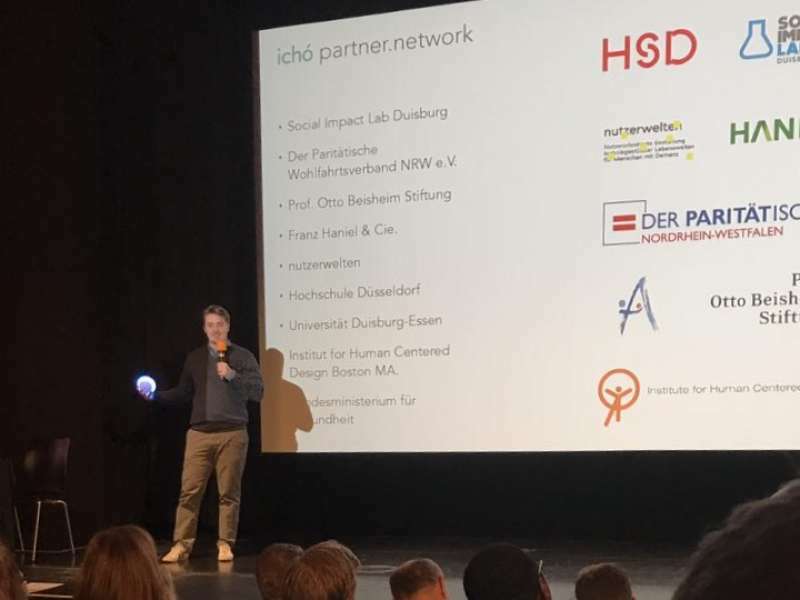 While a lot of the start ups were part of the impact summit and therefore had a high focus on products with social values that were mostly of a non-technical nature, the startup ichó impressed me with their medical robot - a ball that has been shown to be beneficial for treating Alzheimer's and depression patients. The white ball is equipped with light and speakers and reacts to all kinds of different input like touch and sounds. Their motivation behind this product was that - while there are a lot of apps that can be used with Alzheimer's patient - the majority of those has no special connection to a tablet. I can imagine that such a strange device doesn't offer familiarity or comfort to a person who has lived most of her life without one. I liked this product so much not only because of its application area but also because it invited to start to look beyond what I am used to. An AI I understand as pure software and even though a robot can take many forms, I always imagine some parts of it to be moving. But that's not how it has to be. The people behind ichó stepped away from the already overflown app market and developed something new. The ball can be programmed to be used for story telling and encourages interaction. The reaction it shows to movement, touch and sound is said to help patients feel more grounded. That it doesn't always have to be the mobile or web app is what I took away from their pitch. Away from the innovative ideas and back to the classics: the first keynote on Thursday came from Facebook with focus on instagram. As more than fifty percent of all instagram users use the photo platform as a source for shopping and style inspiration, they want to make it even easier to immediately buy the products you see and like. It's hard not to be at least impressed by facebook's marketing and advertising strategy. I don't doubt that this will increase the already high revenues by a nice additional amount. It's not a secret that facebook is an example of fulfilling the target group's needs, but it never ceases to astound me. The combination of social networking, passionate keynotes and startups pitches added some extra excitement to the prospect of going to the websummit in November with the entire zauberware team.